Nearly opaque dusty ruby color. Aromas and flavors of concord grape jam, cola, nutmeg, allspice dram, jasmine tea with thyme honey, and dried flowers with a round, vibrant, sweet medium body and a seamless, captivating, medium-length finish evoking notes of apple pie, homemade berry cobbler, chocolate chips, and vanilla ice cream. An all-American spiced wine with wide appeal and instant attraction. Bottom Line: An all-American spiced wine with wide appeal and instant attraction. St. Julian Wine Co. Inc.
92 • A&G Michigan Reserve Rum 40% (USA) $44.99. 84 • Braganini 2016 Estate, Sauvignon Blanc, Lake Michigan Shore 12% (USA) $21.99. 91 • Braganini 2016 Reserve, Albarino, Michigan 12% (USA) $21.99. 89 • Braganini 2016 Mountain Road Estate Bottled Reserve, Riesling, Lake Michigan Shore 12% (USA) $21.99. 87 • Braganini 2016 Reserve Dry, Riesling, Michigan 12% (USA) $19.99. 86 • Braganini 2016 Off-Dry Reserve, Traminette, Michigan 12% (USA) $14.99. 89 • St. Julian NV Michcato Semi-Sweet White Wine, Lake Michigan Shore 11% (USA) $9.99. 85 • St. Julian 2016 Reserve, Pinot Grigio, Lake Michigan Shore 12% (USA) $12.99. 85 • St. Julian 2016 Reserve, Riesling, Lake Michigan Shore 12% (USA) $12.99. 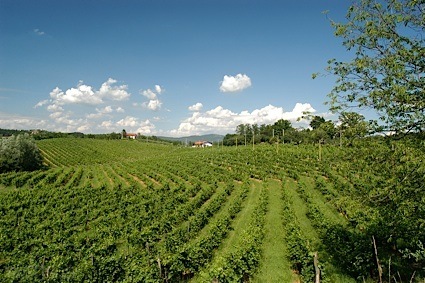 83 • St. Julian NV Blue Heron Semi-Sweet White Blend, Michigan 10% (USA) $8.99. 85 • St. Julian NV Envy Sweet White Blend, Michigan 10% (USA) $9.99. 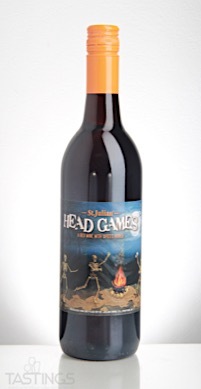 90 • St. Julian Head Games Sweet Mulled Wine, Michigan 11% (USA) $7.99. St. Julian Head Games Sweet Mulled Wine, Michigan rating was calculated by tastings.com to be 90 points out of 100 on 4/10/2018. Please note that MSRP may have changed since the date of our review.